Crocheting away on a snowy morning ! 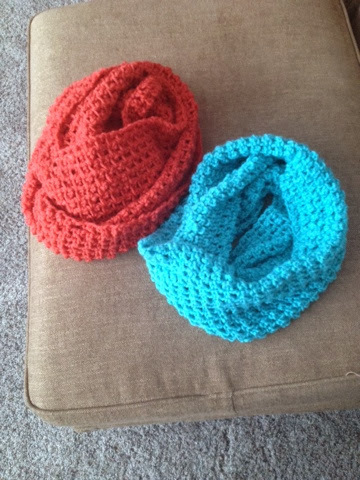 I am here to share my 2 favorite crochet Infinity scarf patterns.. This is the pattern for these scarves in the 20 row size..They only take 1 skein of yarn..
My daughter loves these scarves..
and this is my new favorite ! They are both by Love4 nails on youtube.. 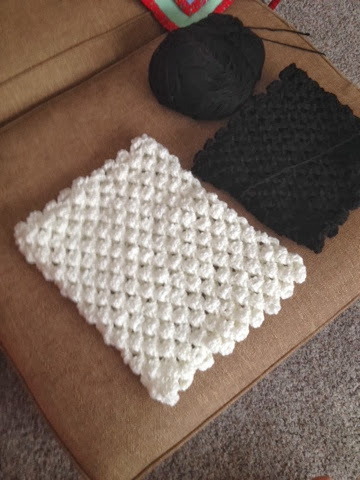 The black and white are called a square scarf.. they make the most perfect cowl.. 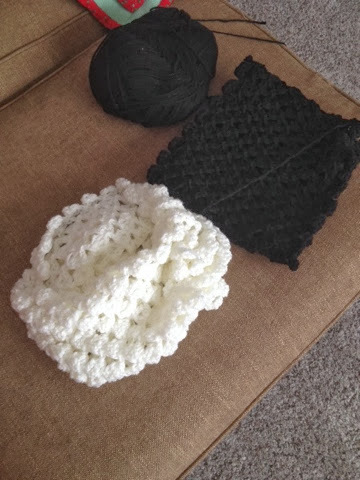 Pretty fast to crochet , so if you need a gift you could still finish before Christmas! Finishing up these two for Christmas gifts.. I made 3 of them last week for gifts..
Its a winter wonderland outside today ! 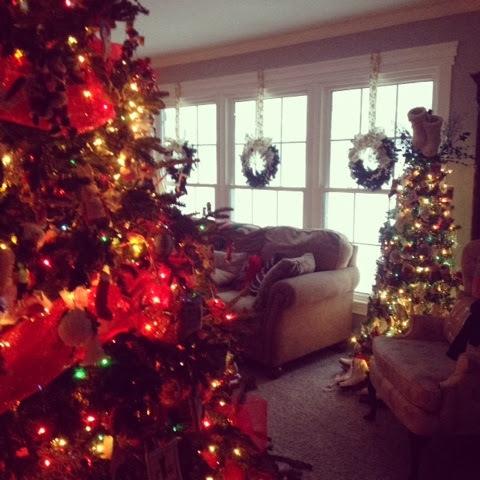 We will definitely have a white Christmas ! Thanks so much for stopping by ! Two more shopping days left and we NEED both of them ! What pretty scarves! I sure wish we had some snow here--it was 60 this weekend. Absolutely crazy weather for December in Pennsylvania!! The scarves are just lovely! I love the 20 row scarf! I made it all the time! But I will have to go check out the cowl. Crazy busy here. Way behind on Blogging. Merry Christmas!!! Beautiful scarves! Do you happen to know the name of the stitches used in this scarf? Is it just dc ch. 1 throughout? Thanks for linking up with Twirl and Take a Bow! See you next Tuesday! They are GREAT, sure wish I knew how to make them! Thanks so much for sharing at AMAZE ME MONDAY! Your scarves are so pretty. I have been looking for a project to crochet - even bought some yarn - I'm thinking this is the one to try. 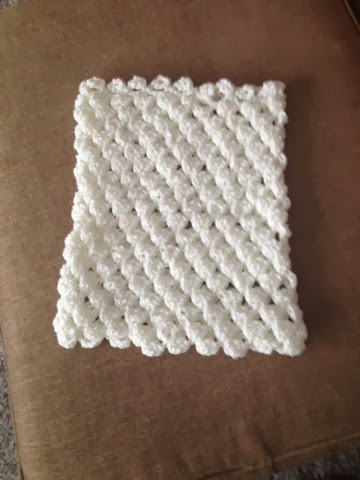 I'm very new to the whole crochet thing - would you consider this an easy project? Thanks so much for sharing the link to Love4Nails videos on crocheting. 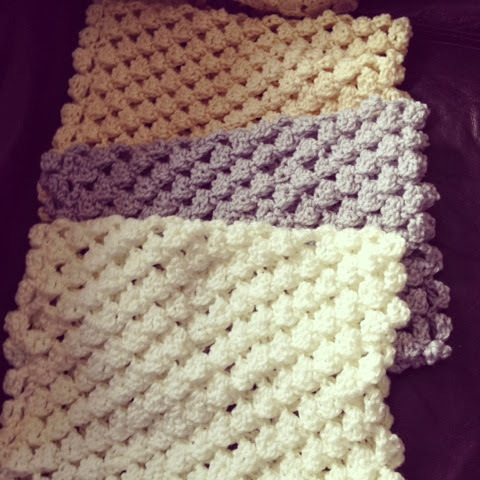 I am a novice crocheter, and this lady does the BEST tutorials. I am now addicted! Awesome cant wait to make some! You say the first one took one skein on yarn for 20 rows?? What kind of yarn and what size ball did you use? Thanks so much for sharing. I love this pattern! I am more of a pattern person, but I sat my self down and looked at the youtube video. a great way to use up single skeins and make quick gifts. How could I get a pattern for this? Where may I find the pattern? The YouTube link takes you to a tutorial on how to paint a bumblebe on your nail. Any idea on where to get the square scarf pattern?? Love the scarf but I really cant find the written pattern. Can you help please? 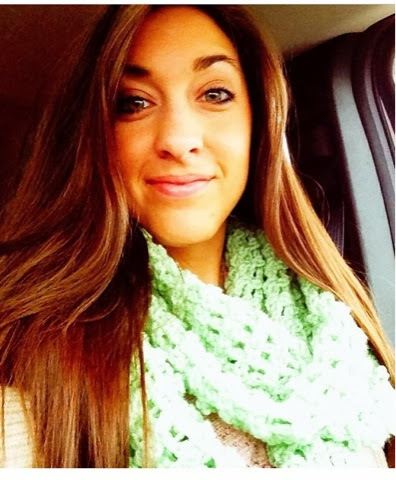 Priscilla, your crochet infinity scarf is really awesome. 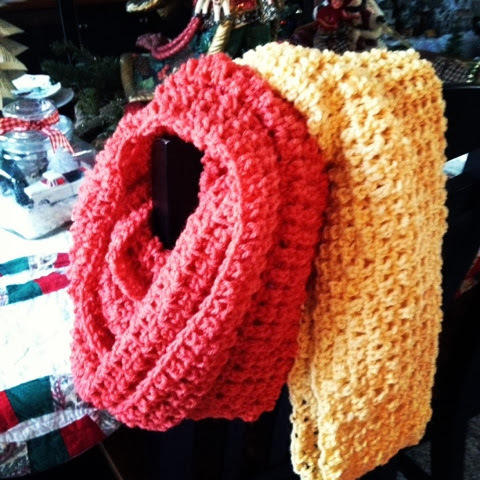 These scarves are beautiful and best gift you can give during Christmas. A gift which is not expensive but a gift that is full of love. Thanks for sharing! Your photos are wonderful, their colors are good. Hello! These are beautiful, but I can't find the patterns. Am I overlooking something? Thank you.